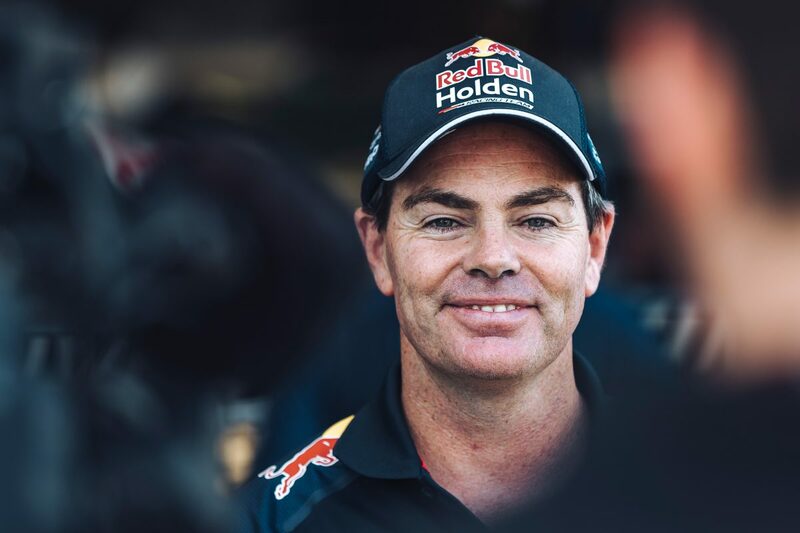 Craig Lowndes has admitted that he needs to practice ahead of stepping into a Supercars broadcasting role at events that don’t clash with his racing program in 2019. Lowndes revealed he would join the broadcast team up alongside the likes of Mark Skaife and Neil Crompton during the press conference announcing his retirement from full time Supercars competition at Townsville last year. It will see the veteran working in a yet to be confirmed role in front of the camera at Supercars events outside the Pirtek Enduro Cup, where Lowndes will co-drive with Jamie Whincup for the Red Bull Holden Racing Team. Lowndes could also miss other events as he looks to take on other ‘bucket list’ events such as the 24 Hours of Le Mans, and has revealed he’s already having manufacturer discussions about potential opportunities. Having worked on the other side of the camera throughout his racing career, Lowndes admits he’ll have to learn fast when it comes to life as the interviewer rather than the interviewee. “There’s no doubt I can talk,” he told Speedcafe.com. “The good thing about Skaife and Neil, and even Russell (Ingall), you know, they’ve got obviously a huge amount of technology and knowledge of what’s going on, but how you present that to people and deliver that is really important. Lowndes also admitted he would have struggled with not being part of the sport this year, and while he’s yet to understand exactly how he’ll slot into the broadcast team is looking forward to his new role. “We still haven’t got the final documents from Supercars to see where I’m fitting in and how I’m going to play a part in it,” he said. “I’m really excited about that side of it, and also just being part of Supercars as whole, and maintain the position in Supercars because I’m a person who could never walk away, or we go cold turkey, so it’s a good stepping down, and a good phasing for me, and I’m really looking forward to the challenge. “I am really excited about it because my whole life, in the Supercar world and driver’s life, is answering questions,” he added.